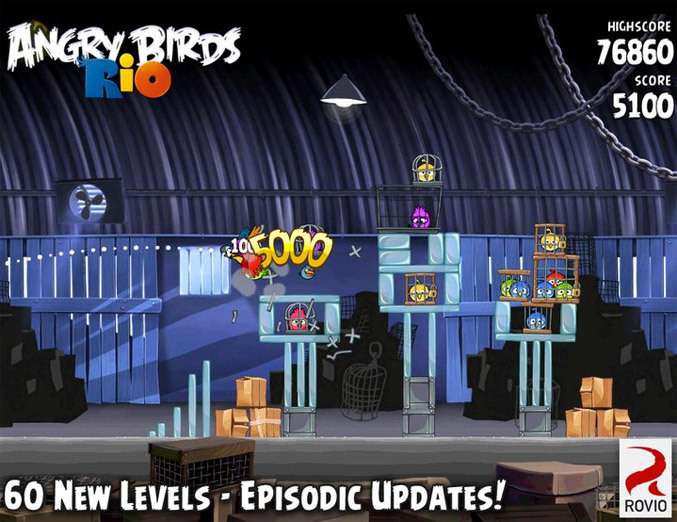 Rovio Mobile announced that their latest version Angry Birds Rio has reached 10 million downloads just 10 days after being released for the iPhone, iPad and Android devices. The news was came from company’s tweeter account via cryptic message “10 in 10:-), and then the company confirmed that this related to 10 million downloads of the game in all its forms. The record of course gathers together paid and free version of the game, which is available for iPhone and iPad as a paid title and for free on Google’s Android Market and Amazon’s Appstore for Android. The new reincarnation of Angry Birds feature the same physics-based demolition challenges like in previous version, but with unique twists based on the new animated movie Rio. I played a couple of levels from the new game and unfortunately for my great regret, there’re no PIGs!! !